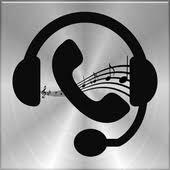 MusicCall Player is an application that allows you to listen and control your music during a phone call. Only you can hear your music. Supporting outgoing and incoming calls (if MusicCall Player is currently playing). Now available with Android Wear - control your music from your watch! 2. PREPARE YOUR MUSIC – touch the playlist button and select your playlist/album/artist/favourite song. 3. CHOOSE A PERSON - touch the contacts button and choose a person you would like to start a conversation with or write a phone number. 4. MAKE A PHONE CALL – touch the phone call button. 5. ENJOY your music during a phone call!